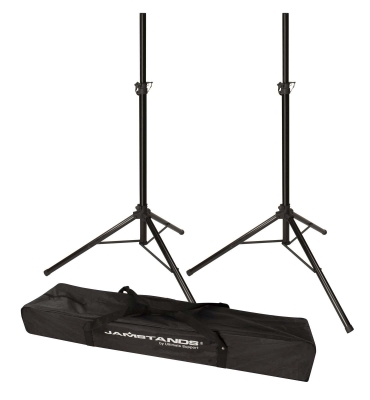 The Ultimate Support JamStands JS-TS-50-2 (Item#17318) is a pair of tripod speaker stands with a FREE Carrying Bag! Speaker stands need to be both sturdy and easy to move. The JS-TS-50-2 speaker stands give you a stable environment in which to elevate your speakers to optimum height. 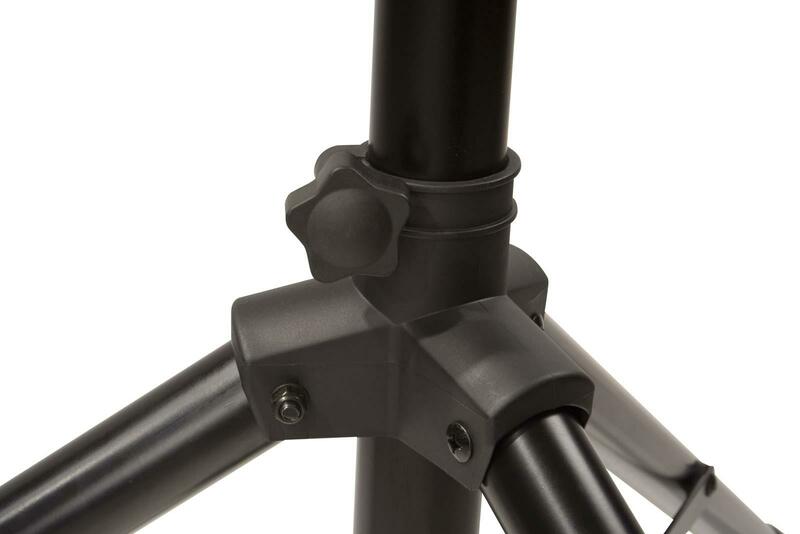 Crafted from aluminum and powder-coated for finish durability, these stands will give you years of service. Each stand can hold up to 120 lbs. 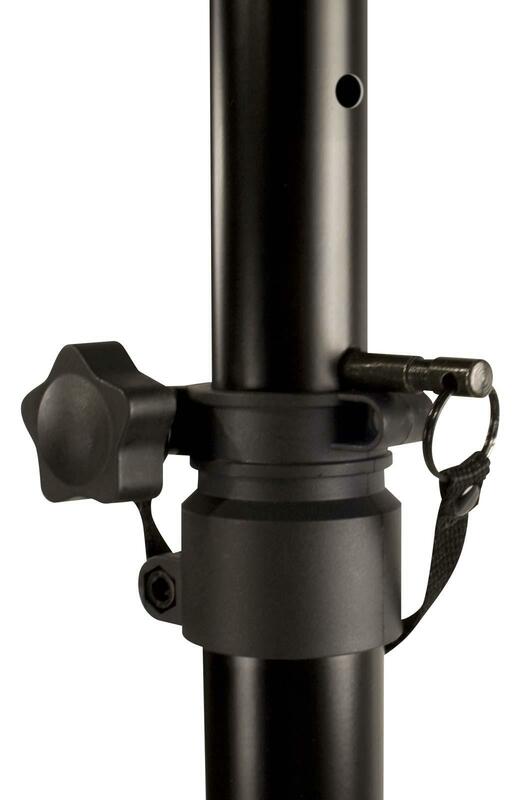 The strong telescoping and leg collars provide a stable stand for your speakers. The height adjustment collar has a safety pin for extra security. The JS-TS50-2 also includes a handy carry bag for FREE!